Manchester United are reportedly poised to launch a second bid for the transfer of Gareth Bale after failing to tempt Real Madrid with the offer of Alexis Sanchez in a swap deal. This audacious approach by the Red Devils has unsurprisingly been knocked back by the Spanish giants, who don’t want Sanchez after his spectacular dip in form at Old Trafford. However, according to Diario Gol, Real fully expect Man Utd to come back in and pay Bale’s asking price in order to trigger a deal this summer. Chelsea might have something to say about this, however, with a swap deal of their own as the Wales international is also likely to be an option for them as a replacement for Eden Hazard. Spanish football insider Guillem Balague has been quoted as saying he expects there to be talks over a Bale and Hazard swap, so United may need to act fast to get their man. Gareth Bale to wear the red of Manchester United next season? It has previously been claimed that Bale himself only wants a transfer to MUFC over any other possible options, so the club have some advantage in that aspect. 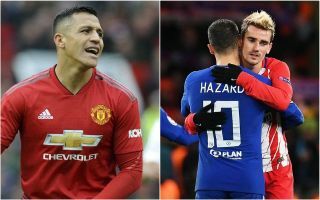 An attacking player of this type seems a priority for United this summer as the Independent also link them with Borussia Dortmund winger Jadon Sancho and Barcelona misfit Philippe Coutinho. Bale is one of a number of Real players for sale in a potential clear out this summer, with his asking price set at £93m.